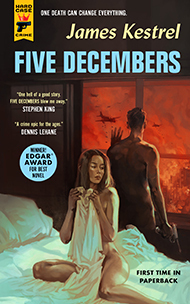 Authors include award-winning modern masters like Stephen King, Lawrence Block, Max Allan Collins, and Donald E. Westlake, Golden-Age pulp stars like Erle Stanley Gardner, David Goodis, and Brett Halliday — and newcomers we predict will be the next generation of hardboiled bestsellers. "One hell of a concept. Those covers brought me right back to the good old days." MONEY SHOT by Christa Faust—CLICK FOR TRAILER! For more information, contact us at info@hardcasecrime.com.